RuneQuest - Stafford Library - Chaosium Inc. The home of the role-playing games RuneQuest and HeroQuest, board games like White Bear and Red Moon, novels like King of Sartar, the webcomic Prince of Sartar and computer games, it has been loved by its fans for 50 years. 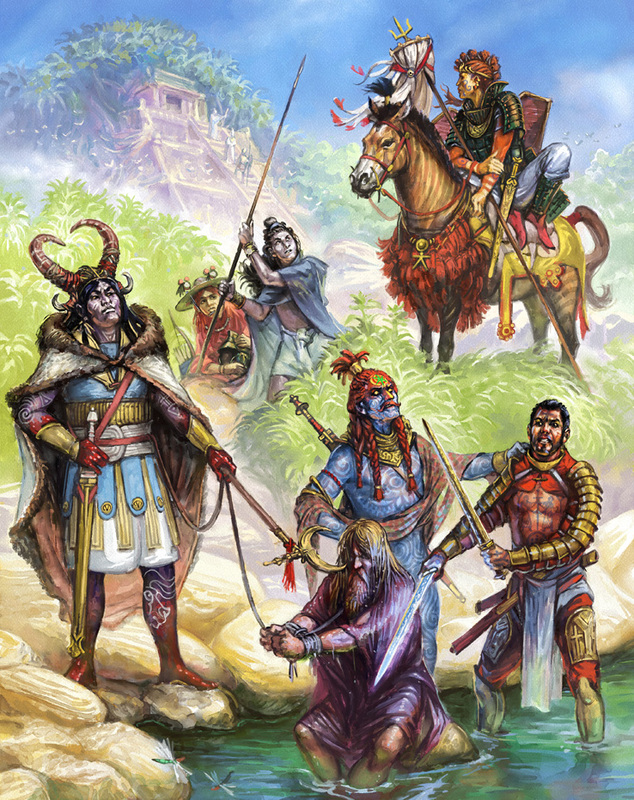 For a more detailed look, visit our dedicated website at www.glorantha.com or check out our products here. The Stafford Library is for both roleplayers and Gloranthan scholars. These are Greg’s writings untainted by a specific gaming system. Some have excellent background materials, and others detail the mythic underpinning. If you want to see the original writings that lead to the development of our favorite gaming world, look no further. We sell PDFs for the Stafford Library, but if you want them printed, please visit our Lulu store.